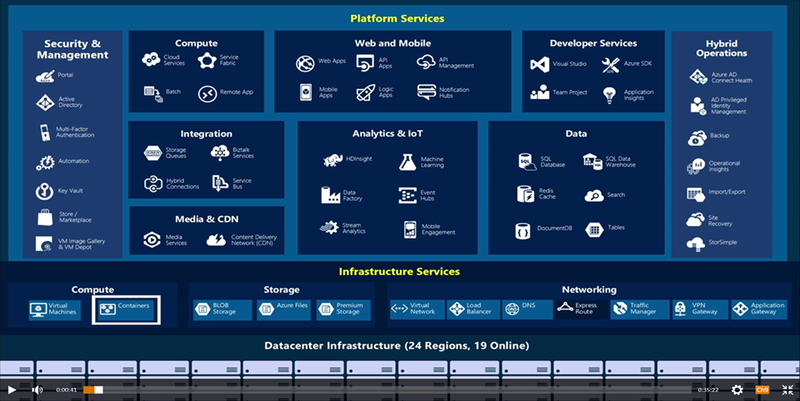 Cloud Platform roadmap covers what has been recently released and what Microsoft is working on. Microsoft Azure and Amazon Web Services covers AWS Compete is a good reference to have if the question of comparing AWS and Azure features comes up. One additional great resource is the Azure Learning Paths. Azure is so broad that it is difficult to know where to start learning about a particular service or feature. The Learning Paths are step-by-step flowcharts that guide you through the documentation and videos on about 35 of the Azure services. (Not every service is so documented, but the ones that are are well done.) Highly recommended. This entry was posted in Amazon Web Services, Architecture, Microsoft Azure and tagged Amazon Web Services, Architecture, Microsoft Azure. Bookmark the permalink.